1. Matlaga BR, Assimos DG. Changing indications of open stone surgery. Urology 2002; 59:490-493. 2. Shekarriz B, Meng MV, Lu HF, Yamada H, Duh QY, Stoller ML. Laparoscopic nephrectomy for inflammatory renal conditions. J Urol 2001; 166:2091-2094. 3. Van Cangh PJ, Nesa S. Endopyelotomy. Prognostic factors and patient selection. Urol Clin North Am 1998; 25:281-288. 4. Gupta M, Tuncay OL, Smith AD. 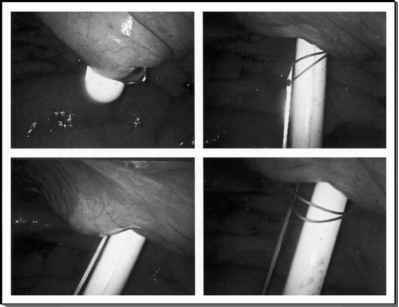 Open surgical exploration after failed endopyelotomy: a 12-year perspective. J Urol 1997; 157:1613-1618. 5. Eshghi AM, Roth JS, Smith AD. Percutaneous transperitoneal approach to a pelvic kidney for endourological removal of staghorn calculus. J Urol 1985; 134:525-527. 6. American Urological Association 2004 guidelines for management of staghorn calculi. J Urol. In press.